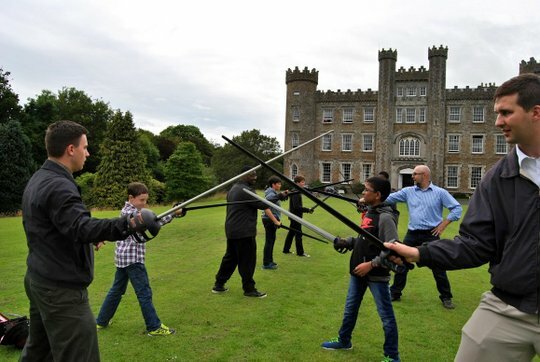 From the 4 to the 8 of July, the Irish Society for Christian Civilisation organized a Call to Chivalry summer camp in Gormanstown College, thirty miles north of Dublin. Boys and fathers, some traveling from Poland and France, participated. 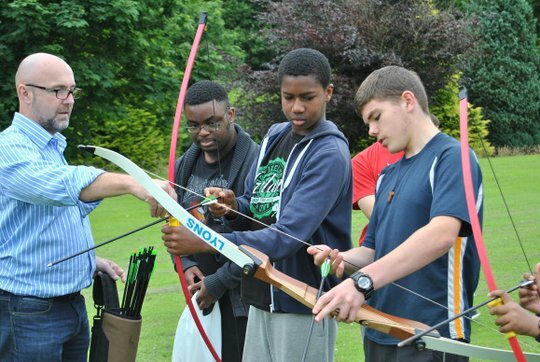 Unlike most camps that only focus on fun, this one also fostered manly Faith. The singing of the Creed, the daily recitation of the Rosary and the talks shared that single purpose. Meetings ranged from the First Crusade and the different Orders of Chivalry to the Reconquest of Spain and the Siege of Malta. 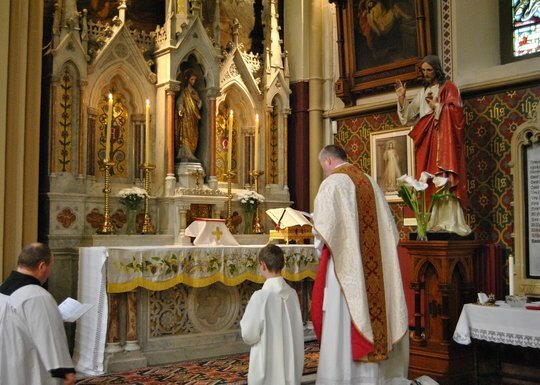 A pilgrimage was also made to the shrine of St. Oliver Plunkett, an Irish priest and educator who courageously opposed the enemies of the Church. Everyday started with the sound of the bagpipes. Lined up outside their rooms, the boys were then led in the St. Michael the Archangel Prayer slowly prayed in Latin to better accommodate the different nationalities. Thirty minutes later, inspection followed. Each bedroom had to be tidy. 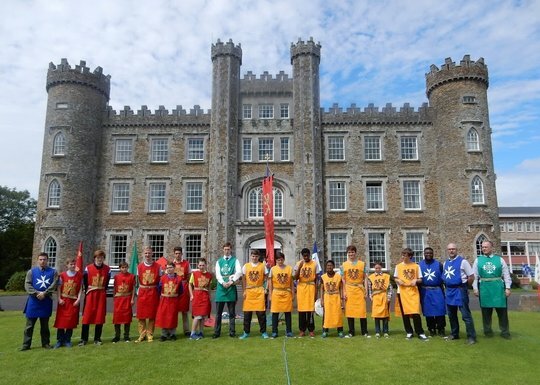 Original games only found at Call to Chivalry camps such as Shield Ball, French Football, Marshall, Steal the Bacon and Prison Break were played throughout the camp, Prison Break being the favorite. Other highlights were the Treasure Hunt and campfires on a nearby beach. 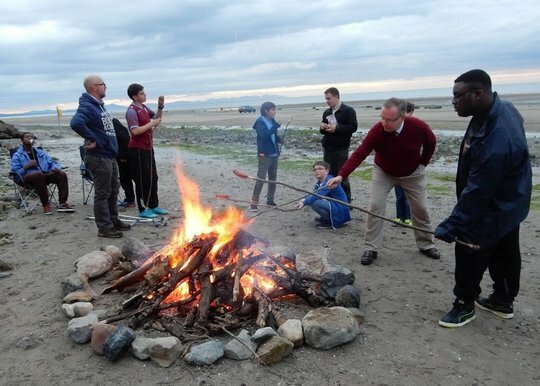 While the Irish participants had a culture shock when the Polish brought sausage to cook over the open campfire, they were no less shocked than the Polish when they saw their Irish counterparts bringing marshmallows. 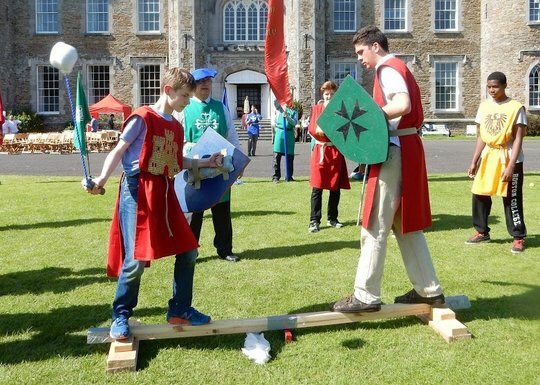 The last day ended with the Medieval Games and Medieval Banquet. Under the gaze of a statue of Our Lady of Fatima and the flying TFP standard, the boys and the fathers played different games, which stressed teamwork and honorable conduct. Our Lady truly smiled that day for the Medieval Banquet was eaten outside without any rain, something unusual for Irish weather. Each boy received a small statue of Our Lady of Grace as a memento of the camp. May the Blessed Mother guide these young men to become what God made them to be -- Catholic heroes in a turbulent world. St. Patrick, pray for us!